As a Partner at Moneta since 2000, Karl brought an extensive background in the financial industry to bear for the benefit of his clients. Karl excelled in the banking industry for more than 20 years first with Mercantile and then Firstar Bank in St. Louis. Karl is also a member of the Financial Planning Association an organization that promotes education, integrity and ethics in the field of Financial Planning. Karl earned Master in Business Administration from St. Louis University and his Business Degree from the University of Missouri-Columbia. Karl is Certified Financial Planner which is an instant signal of credibility and means Karl has passed a rigorous test and is committed to continuing education on financial matters and ethics classes. As a fiduciary, Karl also operates at the highest standards and commits to act in his client’s best interest. Karl guides his clients with an unbiased, independent approach to wealth management. As an independent wealth manager Karl has no obligations to financial products which leaves him open to offer the best advice and services to his client without bias. Karl is a born leader and businesses seek his wise advice and counsel. With a strong, steady hand on the tiller, Karl has been called to serve on numerous Board of Directors positions in the St. Louis area. Karl is serving as a member of the Board of Directors of Lutheran Senior Services and Chair of the LSS Finance Committee. 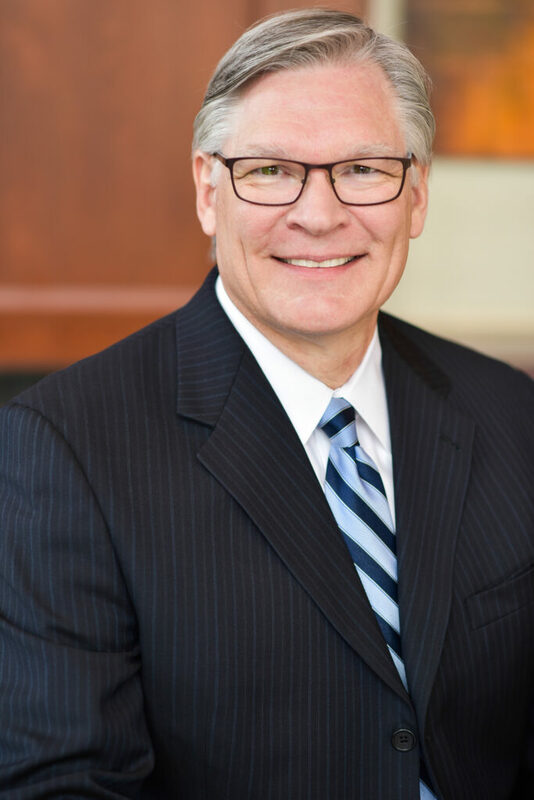 He also serves on the Board of Lutheran Foundation of St. Louis and was the Chairman of the Board as well as serving as the President of the Lutheran Church of Webster Gardens. Serving is a way of life for Karl and he stands ready to serve you and your family. Karl is married to Anne and they have 3 children. Karl and Anne love to travel and experience the world and enjoy great food and wine. They enjoy soaking in the great outdoors to hike, bike and enjoy the beautiful world God has created.